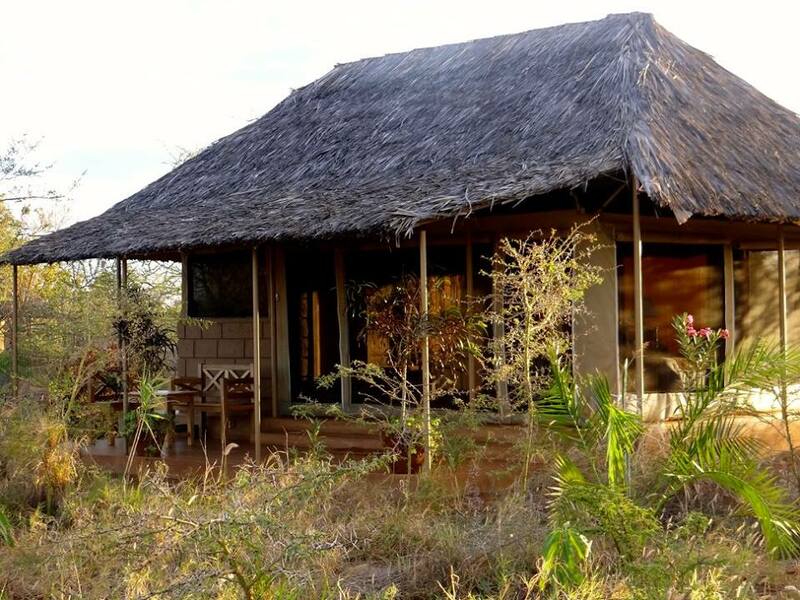 Ikweta Safari Camp is by choice a small owner-operated intimate safari camp offering personalized service. Located just 2 km from the Murera Gate of Meru National Park, this camp is a year-round destination and a convenient base for exploring both Meru and Kora, two of Kenya’s national parks to offer a complete wilderness safari experience. The Camp offers 10 spacious canvas tents on permanent foundations with thatch roof overlay of doum palm (Hyphaene thebaica) indigenous to the area. 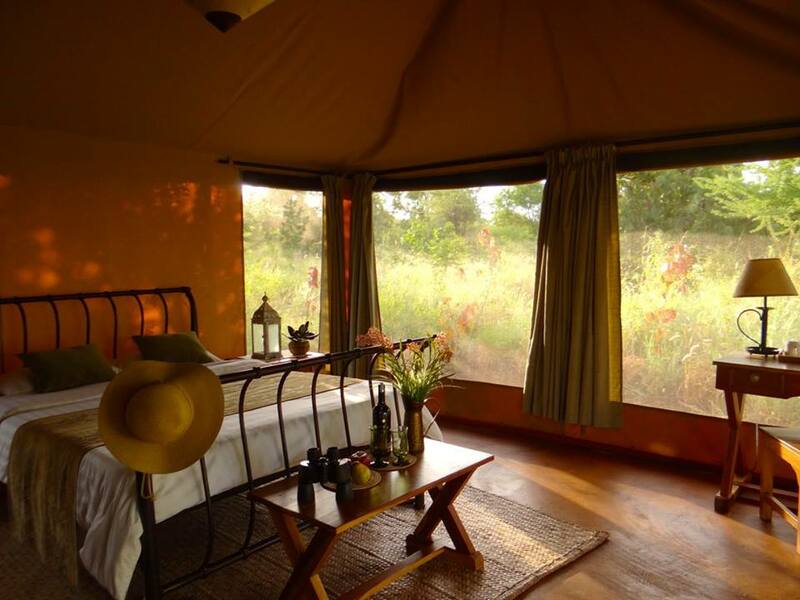 Tents are tastefully decorated in safari-style with high quality furnishings. Each tent is designed with an airy-by-day and cozy-by-night bedroom area separated by a natural stone wall from the bathroom en-suite, with walk-in shower and toilet. There is a writing table and safe box in every tent. All tents face East for guests to enjoy the spectacular sunrise over Meru National Park from the comfort of their beds. Each tent has a private verandah. There is free WiFi at all tents. You can sip your early morning steamy hot Kenya coffee or Kenya tea on your private veranda, while you Facebook or Tweet as the sun rises over Meru National Park. Tents are amply fitted with electric power sockets for guests to be able to power their laptops or charge their electronic devices and camera batteries. The large Swimming Pool is delightfully warmed year round by glorious sunshine. “Two Zebras Restaurant" serves all meals to order, using fresh produce grown in the Camp's own Greenhouse and on iKWETA Farms. The restaurant offers international and vegetarian cuisines as well as children's menus. No night time blackouts or ‘10:00 o’clock night-curfews”: There is mains electricity backed-up by a high-capacity generator. If you are awaken by the sounds of nature you can snuggle under your duvet and read or watch movies on your iPad or DVD. Your main attraction will be spectacular game drives through Meru National Park, one of Kenya’s most beautiful and truly pristine national parks and the land of the “Big-Five” – elephant, rhino, lion, buffalo and leopard. With over 400 bird species reported, the park is also a birdwatchers’ paradise. There are also interesting places in the vicinity of the Meru-Kora Conservation Area. Nature walks to the Gatwe (“Skull”) Hill for panoramic and spectacular views of the Meru-Kora Conservation Area and the Nyambene Hills. Accommodations are on Full-Board basis (all meals included as well applicable taxes). Ikweta Safari Camp is a convenient base for exploring the complete wilderness of Meru National Park. Since opening for business in October 2011, the Camp has hosted many domestic and international guests, including several foreign and domestic film crews. 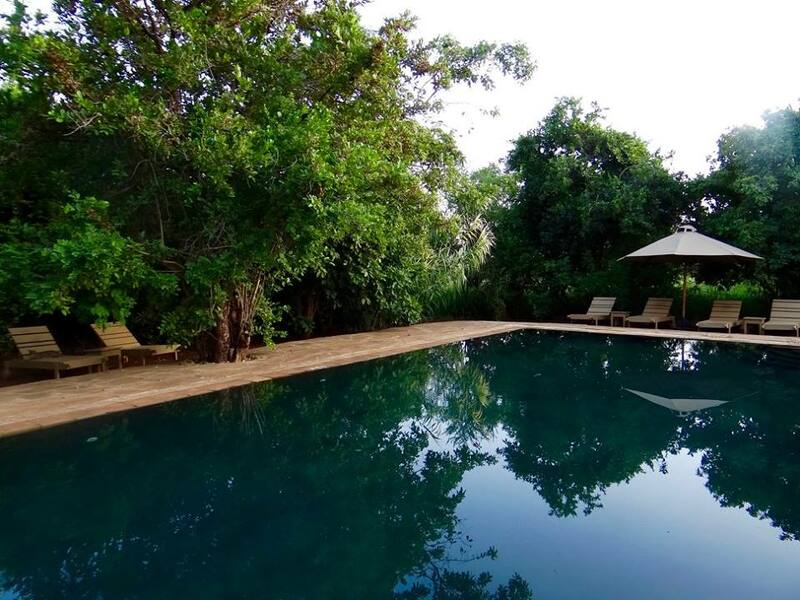 Would you like to book yourself into Ikweta Safari Camp and explore Meru? Please check here for dates & availability, as well as getting the best prices possible!